Multiple streams of income? You must think I’m a bit nuts! I know how compressed your time is already. 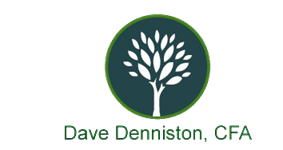 You barely have enough time to breathe- let alone manage another financial asset. You may have heard the concept of multiple streams of income through Robert Allen or Robert Kiyosaki. You may even like the idea. However, you may be feeling confused and unsure. You may wonder where to start. Here are some of the best ways that I’ve personally observed and experienced multiple streams of income. I have listed these in order of financial commitment- least to most. 1. Amazon FBA- Shirt Creation. My friend Nick Loper from Side Hustle Nation has a great business on the side where he and his wife create snazzy designs that they upload to Amazon. Pros: NO start-up capital needed. No physical inventory that you keep. No minimum orders needed. Cons: You have to keep an eye on what is selling and what is not selling and constantly create new designs. Income can take some time to build. Amazon controls your customer base. 2. Airbnb Rental Arbitrage. You rent out an apartment or home in a desirable location and sub-lease it out through Airbnb short-term rentals. Pros: Very minimal capital needed. May need to furnish the place. Can make a profit without a long-term commitment. 3. Blogging/Podcasting. Start your own blog or podcast on some very niche that you are passionate about. Heroes to look up to here- The White Coat Investor, Pat Flynn, Cliff Ravenscraft, E On Fire, etc. Pros: A few hundred bucks a year should cover your minimal costs. You control the product and what is said. It’s your baby! You can a megaphone to announce your thoughts, beliefs, and feelings to the whole world to make an impact in an area that is important to you. Cons: Can be VERY VERY slow to ramp up. May take months or even years to monetize your creation. However, when you do, and create products and services around that niche- it can be very, very profitable. Another major con is the bright shiny squirrel syndrome. There are TONS of products around this space that people will try to sell you. Some are very helpful, others not so much. 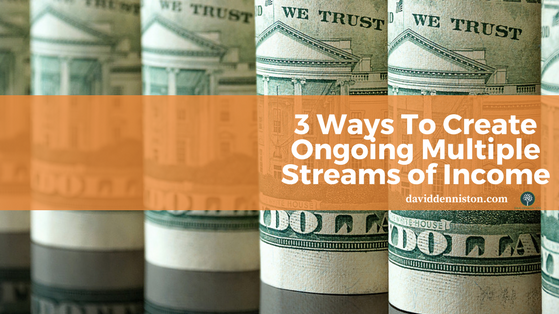 My friends- you can create these streams of income and now you have 3 different ways that you can accomplish that monumental task. Get enough self-education so that you could do it yourself. The basics are pretty easy. The devil is in the details when you actually implement. Consider that a risk is a risk. It takes a leap of faith at some point. Don't take too long to take action. Sometimes we have to jump off the plane and figure out how to open the chute as we fall. Just make sure you have the chute. By that- I mean the cash flow and savings to make up for the possible mistakes that could occur as you implement. I encourage most people to start out taking SMALLER risks. Don't go for the home run- go for the single. It's easier to recover. As far as I'm concerned, you have the intelligence and interest. You'll be just fine. Keep those basic principles in mind.